Home Blog How Long Will It Take You To Learn Japanese? The Japanese culture is very rich and exciting. Whether it’s within their habits and practices, their beautiful writings such as Hiragana or Katakana, or Kanji, or their language. Learning a new language is a big step. It can be both intimidating as well as exciting at the same time. Once the decision is made to learn a new language, one of the first things that you probably will ask yourself is, how long will it take you to learn Japanese? If your desire is to not just learn a few greetings or phrases, then this is for you. Various factors may determine how long it takes you to learn Japanese on a fluent level such as any current commitments that you may have and how much time you can devote to learning. There are varying reasons as to why one may want to learn a new language. For example, some may want to freely communicate with their family or friends, or maybe you are even planning a trip to Japan and want to make the experience as fulfilling as possible, or maybe Japanese is a part of your culture and you want to establish a deeper connection to your roots. Japanese takes time, patience, and dedication. The time that it will take for one to become fluent in Japanese varies from person to person. Do you want to learn just enough Japanese to get you by while on a vacation? Or do you want to jump all in, an eventually become an expert? Whatever your goals, they are attainable. Kanji is a system of Japanese writing that uses Chinese characters. It is considered by many to be the most difficult aspect of learning the Japanese language. In Kanji, there are several characters to learn and they also require an immense amount of practice and memorization. If your goal in learning Japanese also includes mastering Kanji, then expect the process to take much longer. If your ultimate goal is to master all four of these skills, then the process of learning Japanese will take much longer. But do not get discouraged because as you will see, the end reward will be well worth it! You will be confident in approaching any native Japanese speaker, in any situation, without fear of any language barriers to get in your way. If there is one warning that you should take heed to while using Keigo, it is to be thorough. Keigo comes in two different forms, one form is used to speak humbly in regard to yourself, and the other is to speak highly of people who are ranked higher than you. You do not, under any circumstances want to mix up the two. What is meant to be a respectful conversation while referring to someone, can quickly become an insult. Therefore, it is best to thoroughly master Keigo before putting it into use. How Much Time Can You Devote to Studying & Practicing Japanese? Remember being in elementary school, and how excited you were for summer break to arrive? Well so do I, but I also remember forgetting a few details over the summer and that refresher course at the beginning of the school year being much needed. As with anything, practice makes perfect. The more you practice, the faster you’ll learn and the better you will become at learning and retaining Japanese. Studies show that those who study on a regular basis, will learn more effectively than those who study on an occasional basis. Also, as with most things, the more time that you devote to learning Japanese, the faster you’ll grasp it. Some people choose to devote a few hours a week, versus others who devote at least a few hours a day. Your proficiency level will be considerably higher with a few hours per day of studying, preferably around the same time each day. Your native language is another important factor in determining how long it will take and how effectively you will learn Japanese. For example, certain languages such as European languages are totally different from Japanese. There are certain sounds in the English language that do not exist in Japanese. For names, one would have to find the closest pronunciation and spelling available. The grammar and structure of sentences is completely different. So, if you are a native speaker of a European language, everything that you learn orally and written in Japanese will be learned from scratch. There will be no words or sentence structures that you can use for comparative purposes. Learning a new language takes time, especially as I’ve mentioned if your native language is a complete opposite of Japanese. For that reason, do not feel pressured to align your rate of learning with the timeline of the provided example. This is merely used to give you an idea of what to expect in general terms. A Few Months: Can hold basic and informal conversations in Japanese with friends. A Little Over a Year: Read simple books, comics, and other materials in Japanese. Three to Five Years: Read native-level materials, watch any form of Japanese television shows and movies. Again, this is just an example. Do not rush or stress yourself. Everyone learns at a different pace and face different situations such as time restraints or obligations. 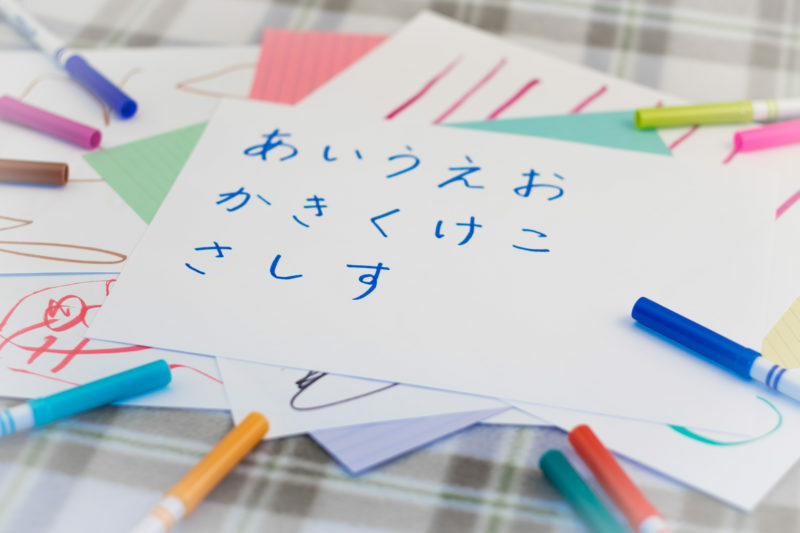 You may be a visual learner and benefit more off of printed materials such as chart or flashcards, while another person may benefit more by having consistent one on one interaction with a person who speaks Japanese. The main key is consistency, once you start, stuck with it and you will reap the benefits. Along with setting aside consistent times for studying, incorporate some form of Japanese into your daily life. Pop in a Japanese lesson CD or stream a Japanese news station on your morning commute to work. Flip through Japanese flash cards in between classes at school or practice writing in Japanese while you’re waiting on the clothes to dry. There are many ways to successfully learn Japanese, the key is getting started. With consistency, you’ll be a Japanese language master in no time at all!